Friday 1 December, the 'Poo Book' Blog is delighted to introduce Karen Hughes and her fourth novel in the Kalika Magic series, The Howling Sands, as a part of her Books On Tour promotion." The Intro: Welcome to the final stop on the Kalika Magic Books On Tour #Blog Blitz #Day5. 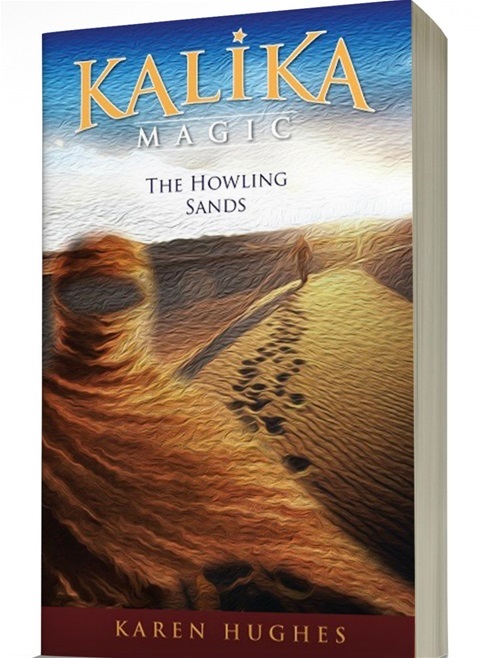 The ‘Poo Book’ Blog is keen for its chance to review Karen Hughes’ 4th instalment in the Kalika Magic fantasy series, for middle-grade readers, The Howling Sands. About the Author: Having started her own community newspaper at the age of ten, Karen Hughes’ early love of writing never dissipated, nor did her entrepreneurial spirit. Ten years ago, she embarked on writing the Kalika fantasy series, which has been likened to The Chronicles of Narnia and Emily Rodda’s Deltora Quest. In 2017, she is self-publishing the fourth book in this popular series and taking her message to the middle-graders of Australia, through school visits and creative writing workshops, which can be booked through her beautifully designed website. Talk about a fantasy fiction empire in the making! Formerly practicing as a senior lawyer in Canberra, Hughes now enjoys the life of a writer and a professional speaker/facilitator, whilst basing herself and her family in the beautiful environs of the Hunter Valley. It's the perfect place to let her ever-active imagination, run wild. I’m not sure if you get much better than this for a teaser. It offers the suggestion that you are being drawn into a continuing saga and at Book 4 in the series, this is most certainly the case, with further instalments planned for 2018 and beyond. I need to preface this review by admitting I would have benefitted from reading Emerald Child, The Shaman’s Secret and The Sorrow of the Waters, before embarking on The Howling Sands. This doesn’t mean that it can’t be read as a stand-alone adventure but there is a great deal of assumed knowledge in Book 4, as with any good fantasy saga. I’d suggest that you either start collecting the books from the beginning, if you know you have a mature and engaged, young reader of fantasy on your hands. 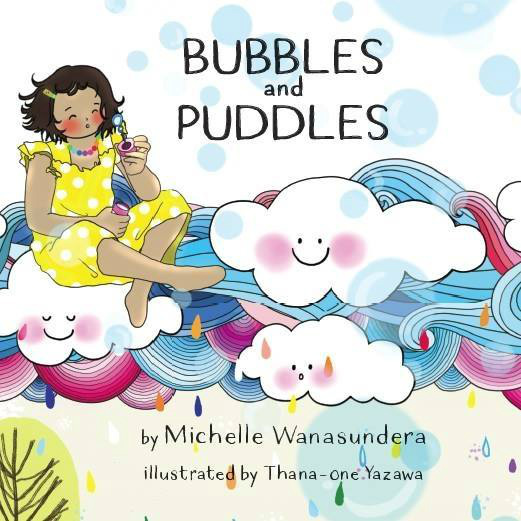 Or, dip your toe in the water with Hughes’s latest tome and if your child loves it, they can play an exciting game of catch-up, before Book 5 is released. When I spoke earlier of books ‘Kalika’ has been likened to, the first thing that came to mind for me, was Tolkien's The Hobbit and The Lord of the Rings series. This legendary writer and his books, represent what the fantasy genre is all about: - an extraordinary web of characters, the presence of mythical creatures, complex worlds, societies, cultures and languages, the threat of impending battle and good vs. evil. In just the space of one 360-page book, Hughes employs and manipulates all these classic ‘totems’ of the genre; no mean feat in terms of storytelling. And by all suggestions, the continuing narrative that has come before, establishes the never-ending quest, to no lesser a degree. The pace of Kalika Magic stops for no one. Once you embark on this adventure, you’re in for a wild, suspenseful ride and when I say things happen off camera, it means that the author doesn’t spoon-feed her audience. There are parallel streams of events to keep up with and frequent shifts in the narrator’s spotlight. If something important happens to one of the five young heroes (Indie, Jabar, Kai, Nima or Willem), when they are not in the spotlight, we find out in retrospect. There is no dilly-dallying with back story and the characters just get on with it. After all, it is up to them to save the world, before the Maleficent-esque villain Sofia, destroys it. ‘Resilience, self-conﬁdence, and having the courage to follow your heart are major themes in my books,’ Hughes says. This is evidenced on every page of The Howling Sands, with child protagonists who are real and flawed, yet strong, defiant and fiercely loyal. Good role models for the target audience, who will be lapping up every twist and turn. Recommended For: Karen Hughes’s series is marketed for middle grade readers from 9 years of age and upwards. Following on from earlier impressions in this review, I would take this further and describe it as a dense read, for keen and mature readers, the likes of whom may be devouring the Harry Potter series or classics like The Wizard of Earthsea of 'The Rings' (which inspired the author). The Howling Sands and its fore-runners are for true-fans of the fantasy genre. It’s an intelligent read and won’t patronise its young audience with over-exposition. You need to concentrate and you need to keep up. For those that do, it’s a gripping and rewarding read, that is likely to foster even more devotees of Hughes’ work. If your child is an advanced reader at nine and loves alternative worlds, don’t hold back, though I would equally say that Kalika Magic could enter Young Adult territory, or appeal to the adult appreciator of fantasy fiction. Would love to hear your views; please feel free to leave a comment. It’s that time of year again. The time dads in Australia act surprised on Father’s Day, as they open gifts from Bunnings. I’m an advocate for Father’s and Mother’s Day, so don’t get me wrong. I know it’s highly commercialized but we need to teach kids to show appreciation and to give to others, even if it means putting their hands in their Angry Birds or Trolls wallets. But this Father’s Day, Sunday 3 September, how about a novelty gift for Dad? He is usually the man who has everything, so how can you make him laugh? Capitalising on sweeping generalisations about Dads might be a good place to start but I’m not suggesting anything tool or gardening related. David Moye (HuffPost), wrote an article for Father’s Day in the US, titled Weird Father’s Day Gifts That Even A Normal Dad Will Love. Yes, there are the standard ‘all-dads-love-beer’ gifts but there’s also a book mentioned and only one book made the list! It’s my debut picture book, Daddy and the World’s Longest Poo. This article gets the “Poo Book”. 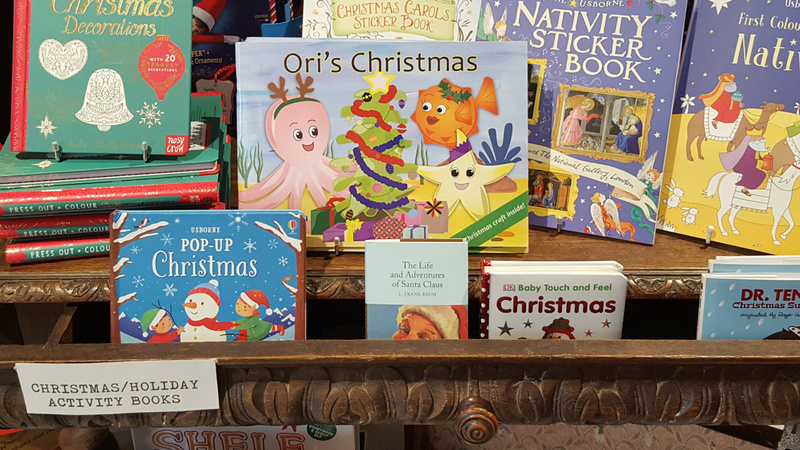 It pinpoints the tremendous novelty factor in a book that cheeky mums and kids can buy for the dads (or grandads) in their life. We have all bought books about the love between a Daddy Bear and a Baby Bear for Dad’s first Father’s Day but what about kids who are getting older and becoming attuned to the world around them? 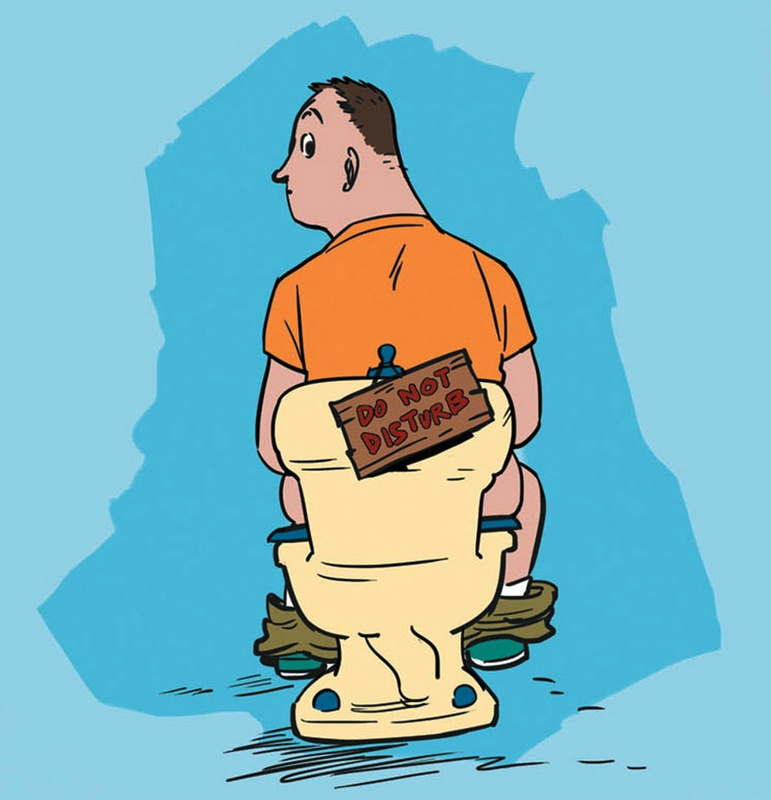 I have great feedback from parents who love reading Daddy and the World’s Longest Poo with their children – both dads and mums alike. It’s the kind of book that ends up on rotation. Four to seven-year olds love this kind of fun, toilet humour and they are more knowing than we like to think, without getting caught up in higher levels of meaning. The latter is for mums and dads who read the book and if your family has a good sense of humour and can cope with a few mentions of poo, you won’t be disappointed. I’d liken it to the kind of novelty longevity enjoyed by My Aussie Dad (Yvonne Morrison and Gus Gordon, Scholastic). But is there a more serious point to this blog, apart from a book plug? 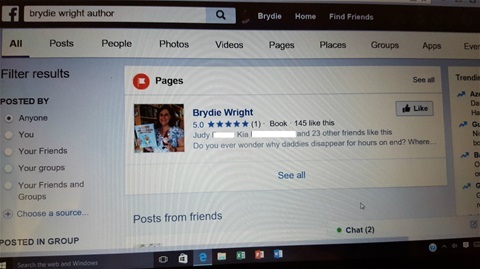 I’m a children’s book author, so I would advocate giving a book to Dad or Grandad this Father’s Day, especially if your son or daughter need assistance with reading. They might be a reluctant reader and humour could be the hook that reels them in. Childhood literacy is important and experts acknowledge the power of a male role model reading books to themselves, or to their sons, in particular. It has an incredible influence on young boys, who may naturally favor more physical pursuits. Daddy and the World’s Longest Poo (Lulu Publishing), is for every family who has ever laughed at a certain someone who sits on the toilet for too long. It’s for a Mum who’s ever wondered where her husband was hiding out for hours on end. It’s for a child who finds poo hilarious and most of all, it’s for a cheeky dad or grandad, who can laugh at himself. The book is averaging 4.6 out of 5 stars on Goodreads with 16 member reviews and 5 stars on Amazon with 11 customer reviews. For Australian shoppers, Daddy and the World’s Longest Poo is available to buy online at Lulu.com (in paperback and eBook). It is also in paperback on Amazon, and all major online book retailers – see here for details. It's best online price (with local postage in Australia) is with the Just Write for Kids Shop. And if you’re from the Sunshine State, drop in to visit 'Human Bel' and 'Human Jack' at the very cool Little Gnome bookstore and coffee shop in Wynnum. Little Gnome is well stocked with copies of Daddy and the World’s Longest Poo and it’s a great way to avoid postage fees. Don't miss out for Father's Day - order your copy now.